Journals have long been a part of my life. 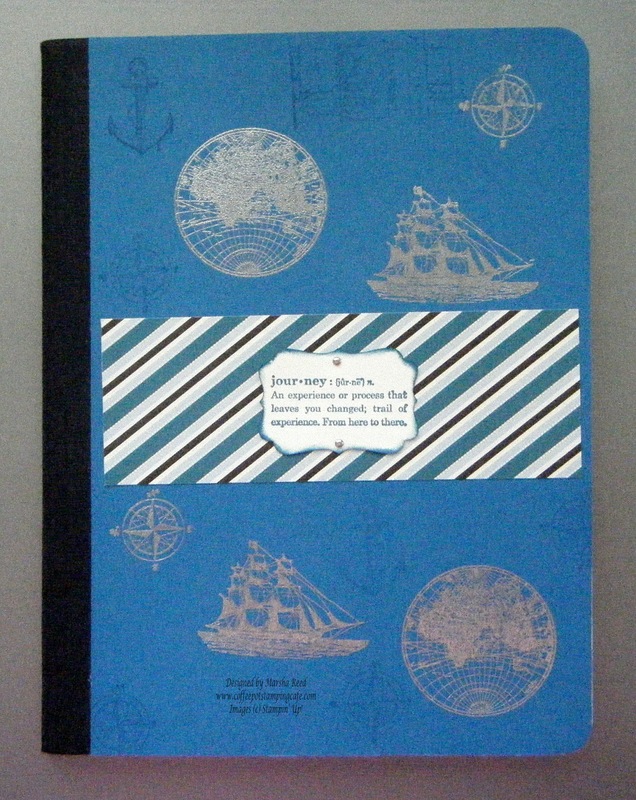 I love words and what better way to record the journeys of life than your very own journal. They can be private and personal or they can be a way to share your life with others. I have made many of these but I have to say that this one is my favorite. Pacific Point Card Stock and Silver Emboss Powder make a great combination. I always keep several of these on hand or I can customize one just as I did for the one I've shared here. No two are ever alike and that makes them unique. Contact me to order one for yourself or as a gift.